We’re lucky to be blessed with such a valuable foodstuff as extra-virgin olive oil, packed with healthy properties and other benefits for our body. This liquid gold is one of the staple ingredients in the Mediterranean diet we all love, and we should make the most of it in all our meals. 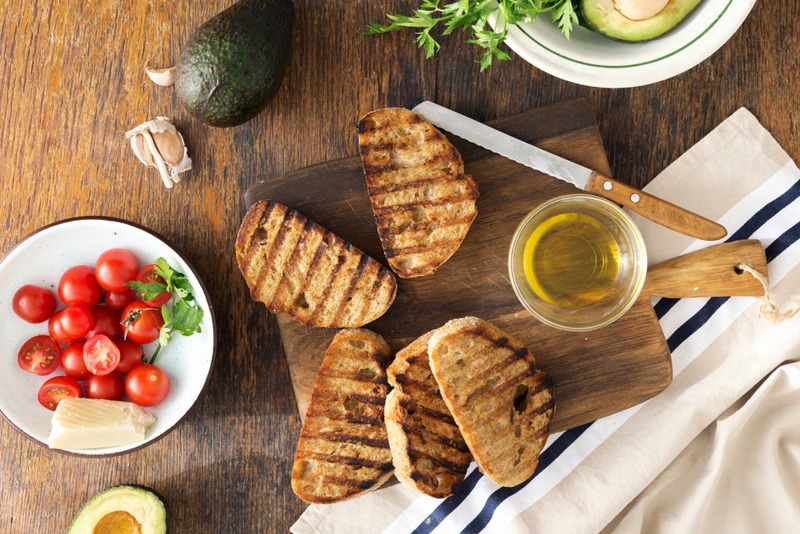 If you want an early-morning energy boost without complicating things, try toasting your favourite bread (wholemeal if possible) and then add half an avocado (sliced or mashed with a fork) and some extra-virgin olive oil. Finish off with a couple of crushed walnuts and give your imagination free rein: take your breakfast to the next level by throwing in some herbs and spices… How about a pinch of oregano for starters? Try out different toppings such as marinated salmon instead of avocado or your favourite cheese. Or some sliced tomato, the perfect match for extra-virgin olive oil. If you’ve got a sweet tooth at breakfast, don’t forget that you can use extra-virgin olive oil in lots of recipes, such as sponge cake or muffins, which will keep for several days and do for more than one breakfast (you can also freeze them and defreeze them the night before). Not only are cakes and pastries made with extra-virgin olive oil simply delicious, but baking fills your whole house with an irresistible aroma. Watch out for neighbours popping by! You can afford to be adventurous at breakfast too, if you want. So here’s a recipe that breaks with tradition. Did you know that you can make mouthwatering smoothies with our beloved extra-virgin olive oil? One great idea is to blend red berries with the juice of half a lemon. Add a little water to thin it out and then finish off with a good dash of extra-virgin olive oil for an extra-creamy touch that will drive you wild. Experiment with different fruits until you hit the winning combination for you. Long live healthy breakfasts!